Now, if you have read and heard loads about overnight oats and are wondering what it’s all about then have a look at my basic overnight oats recipe. It’s basically what it says: oats soaked overnight. So simple. It can also be called bircher muesli and it’s pretty much the same thing. 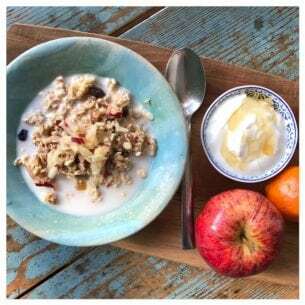 There are zillions of versions out there but once you’ve made up the basic overnight oats recipe I am sure you will come up with loads of creative ways of making it into your favourite breakfast of the week. Did I mention… how quick this is to put together? The benefits of soaking oats overnight is that our bodies are much more able to absorb their nutrients. Along the lines of: You are not what you eat – you are what you absorb. Often, a combination is really yummy but you can make this totally how you want! Some prefer it more liquidy, others like it like you’ll have your porridge. To finish off your overnight oats or bircher muesli you can top it with bits of fresh fruit for some extra sweetness and/ or some chopped nuts for some extra chrunch. Mix oats, nuts and seeds and the grated apple with your milk, stir, cover and set aside. Overnight is advised but I made it in the morning the other day and after half an hour or so the oats were also nice and soft. Maybe worth experimenting with? In the morning you can either eat and enjoy it as it is! 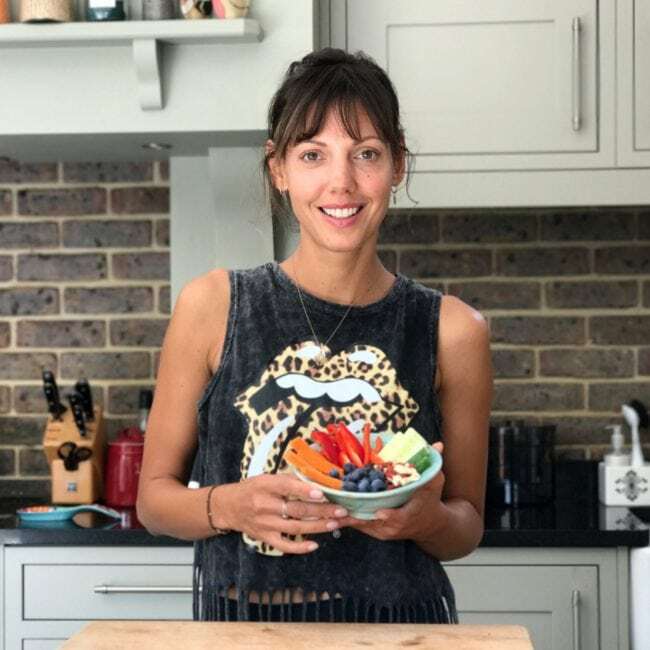 If you think it needs a little refining add some fresh fruit or honey or maple syrup to sweeten, a gollop of yoghurt or some more milk perhaps and maybe a few chopped up nuts for some extra crunch. I often make a big batch of a variation of my basic recipe and then I serve it in variations in the morning. The twins and my husband love it with yoghurt and honey, my daughter Rosa with cow’s milk and I go for almond milk. It’s such a versatile breakfast and a fab start to a busy day ahead!